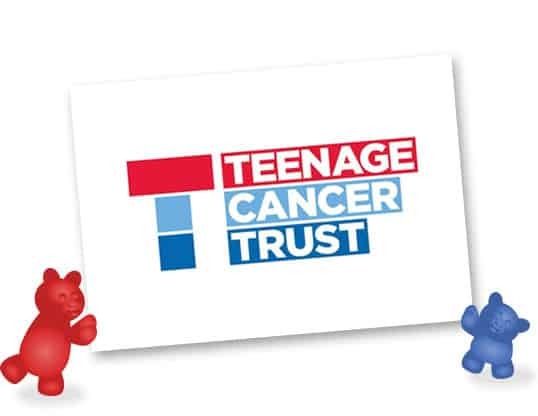 TEENAGE CANCER TRUST – ‘Growing Up With Cancer’ airing on Monday 26th June on BBC1 at 7.30pm – Charity Sweets by Sweet causes Ltd. Please spare the time to watch this one-off documentary called ‘Growing Up With Cancer’ airing on Monday 26th June on BBC1 at 7.30pm, which will focus on the Teenage Cancer Trust Unit at the Royal Hospital for Children in Glasgow. The documentary will follow five young people through their treatment and includes interviews with hospital staff including one of their Youth Support Coordinator. It really tells their stories from their points of view, demonstrating how incredibly tough it can be but how resilient, positive and inspirational they are. The documentary has come about while BBC Scotland were making a different programme about the hospital where they were following various patients including Conor, a young man being treated on the Teenage Cancer Trust unit. The BBC team were so blown away by TCT services that they commissioned a documentary purely focusing on the unit and the young people being treated there.